Battling wall mold is one of the most common problems apartment owners and owners of houses have to face. Fortunately, there are several ways of removing mold, the best being to prevent it from even developing. The main reason for mold formation certainly is moisture in a warm room. In combination with oxygen and other organic substances, which end up on walls if you want them or not, enable conditions that cause mold on walls. Of course it is no surprise that these places are predominantly kitchens, bathrooms, laundry rooms and other warm rooms with plenty of moisture. Even worse – a colony of wall mold spreads with the help of spores. These soon create additional colonies from one small colony. From damp areas, such as the bathroom, mold is soon going to spread to other areas as well. 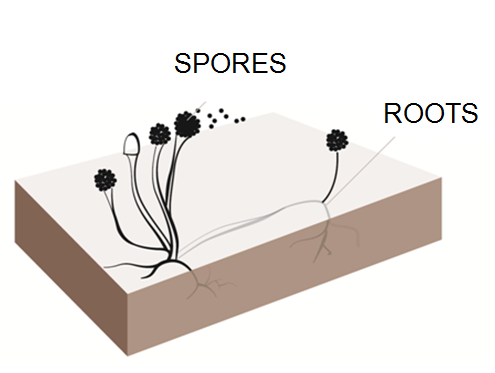 Spores are transmitted through air, thus creating an unhealthy living environment, especially if we spend a longer period of time in these rooms. The dangers of inhaling dust and spores are even greater in people with allergies or those with sensitive respiratory systems. Unfortunately, these are most commonly children. Wall mold spreads with the help of spores, which in addition to their proliferation also cause unhealthy air. First we need to consider a solution, which will eliminate long-term mold growth, needs to be planned seriously. Hasty solutions, such as simply repainting mold is out of the question. The paint would soon crack and fall off while the mold would continue spreading. A far better solution is the removal of mold by a professionally qualified person with appropriate equipment and subsequently it is wise to address the prevention of wall mold formation in the future. Of course it is only sensible to think about such prevention during the planning of new buildings. The best solution for preventing mold on walls is the installation of a ventilation system. The system will provide, in addition to eliminating conditions for mold formation, excellent air and with that a healthy living environment. 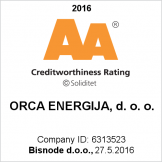 One of such systems, in addition to being affordable and easy to install, is also our ventilation system ORCA, which is used in many Slovenian households.